FEMME: A Celebration of women transforming our planet. A Celebration of women transforming our planet. With Gloria Steinem, Marianne Williamson, Jean Houston, Sharon Stone, Maria Bello, Maria Conchita Alonso, Ariadna Tapia, Seane Corn, Dr. Sue Morter, Angela Davis, Rickie Lee Jones, Barbara Marx Hubbard, Sandra Ingerman, Jean Shinoda Bolen, Riane Eisler, Traci Lords, Sheila Kelley, Karen Tate, Joanna Angel, Shirin Ebadi, Mairead Maguire, Karen Armstrong, Jody Williams and so many more. An experienced feature film Producer, Emmanuel Itier directed several pictures before completing in 2012 the Peace documentary ‘The Invocation’ narrated by Sharon Stone and staring Desmond Tutu, HH The Dalai Lama, Deepak Chopra as well as many worldwide peace activists. In 2013 Mr. Itier executive-produced a Drama filmed in Hong Kong: ‘Red Passage’ which won many Awards in the Festival circuit. Emmanuel Itier has also been a successful Music and Film journalist for both Rock Magazines, French TV networks and various websites for the last twenty five years. Finally Itier has been a buyer for many French and American Film distribution companies for the last twenty years. He was on the board of directors of the Santa Barbara Film Festival for a decade and he writes poetry. He is also very involved with charities and the political world. Mr. Itier seats on the board of Directors of ‘Darfur Women Action Group’ in an attempt to bring Peace to Darfur. He is also the past founding President of the Rotary E-Club of World Peace ( www.RotaryEclubofWorldPeace.org) and he is part of the U.N Association, Santa Barbara chapter. Mr. Itier grew up in France and he moved in the USA thirty years ago. He resides in Santa Barbara, California with his wife and three sons. 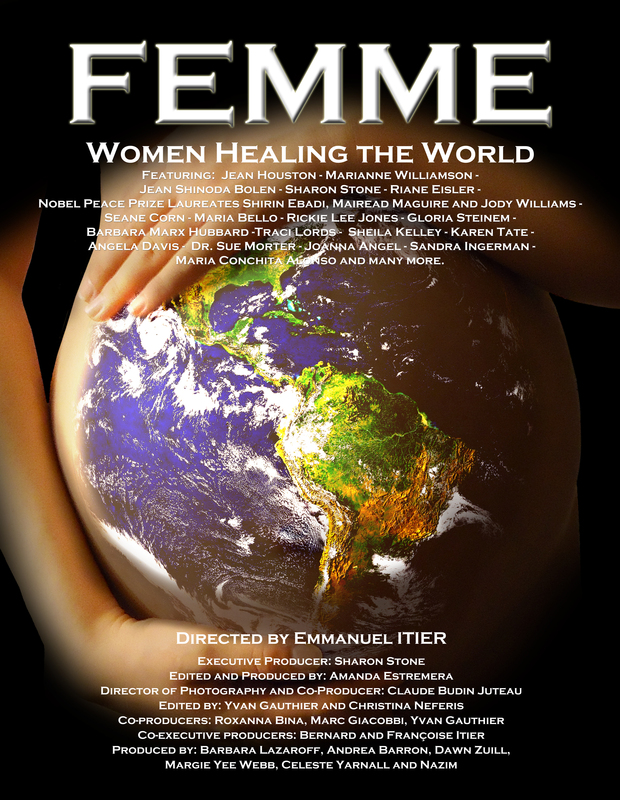 Finally Emmanuel Itier released in 2014 another inspiring documentary Celebrating Women around the planet: ‘FEMME-Women healing the World.’ This Documentary earned over 20 Awards around the World. These films are part of a series called ‘The Oneness Collection: Documentaries for a conscious Humanity.’ The first one is called ‘The Cure: Healing The Mind, Healing The Body, Healing the Planet’ to be distributed in the fall 2018 and by the end of this year the political loaded Doc: ‘We The People: A Re-Evolution of Economics and Politics’ is sure to shake the system! On the non-fiction side Mr. Itier is planning on directing a biopic about the poet Charles Bukowski and starring Sharon Stone, his producing partner for over a decade. Finally Mr. Itier is a recipient of the ‘2018 Global Citizen Award’ from the prestigious United Nation Association and he was named President of The Year 2018 by the Rotary E-Club of World Peace.